Indie developer Digital Leisure has released The Four Kings Casino and Slots for PlayStation 4, and Steam. You can check out the trailer below! Immerse yourself in a social multiplayer casino experience. Create an avatar, earn rewards, and win big! Play all of your favorite casino games including Poker, Slots, Blackjack, and more! 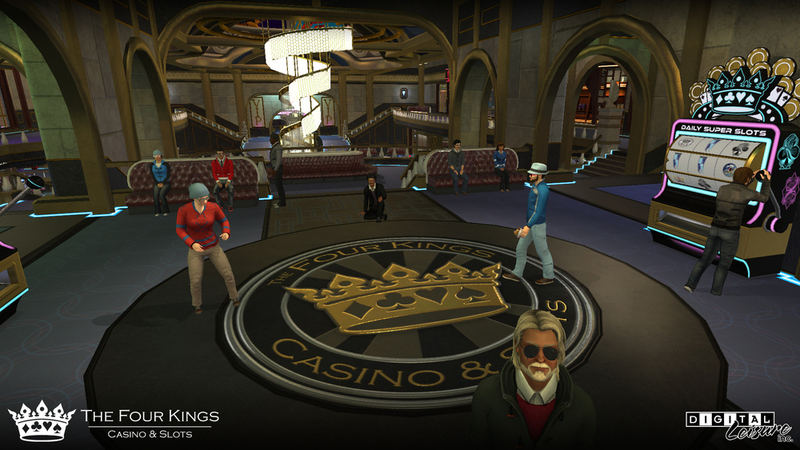 You can enjoy The Four Kings Casino on both Steam (PC & MAC) and PlayStation 4™! You can pick up the game right now on Steam, and PlayStation 4. PlayStation Plus members also get a starter pack. Make sure to follow the developer on Twitter for all updates.